Shake It by Moses Jones Featuring Gary Moore is a great 70's funk song. 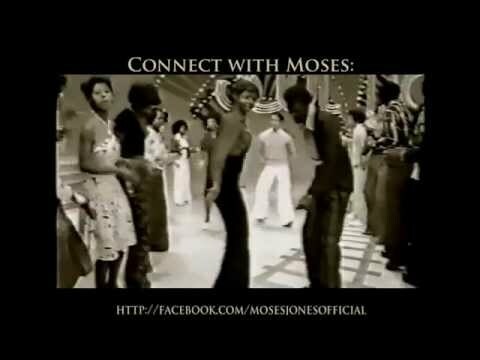 Come out & watch Corporate Band Moses Jones Rock Funk Orchestra perform this at some events in your area! Born in Defiance OH, Moses began his musical career in Sikeston, MO at age 5 sitting at the piano – his feet not even touching the floor. Following that he started to play all four Saxophones (soprano, tenor, baritone, alto) the Tuba, Percussion, Drums and Baritone. Once Moses began to play professionally, he chose the Fabulous Jades in California and then High Country Brass Senior Drum Corps in Denver. New to Colorado, Moses Jones quickly climbed the local music scene ladder and built one of the strongest drawing and regionally recognized dance bands, The Moses Jones Band. He’s back at it again with Mr. J and the Smooth Expressions, an 12-piece corporate party band that will make your feet beg you to get out on the dance floor. The appropriately titled CD “Legendary” of Moses Jones’ original work was released 2014. The CD was nominated for two Hollywood Music Awards for “funky Cruise” and “Walk this Road Alone”. Moses subscribes to the belief that bigger is better. His cover bands may be 12-piece, complete with a horn section, but his original band, Moses Jones Rock Funk Orchestra, is an 18-piece band. If that isn't enough to keep this all around, fun-loving guy busy, Moses works as an agent for Alpine Music Connection and Road Dawg Touring.